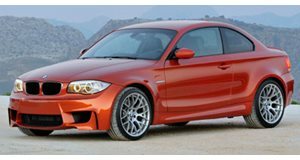 Although the upcoming BMW 1 Series M Coupe will debut at the North American International Auto Show in Detroit next month, BMW continues to tease the public and journalists with more images. The ongoing teaser campaign features Dr. Kay Segler and WTCC driver Andy Priaulx being given yet another sneak peak at the Autosport Awards in London. Judging by the video and pictures, we can see revised front fenders and a four-tailpipe exhaust system. Other details are being kept secret until the official reveal, but BMW has already confirmed the car will weigh approximately 3,307 lbs and features a chassis, braking system, and rear differential similar to what's in the M3. 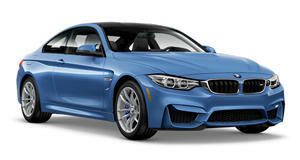 In case you're not aware, the M1 will be powered by a 3.0-liter-twin-turbo six-cylinder engine with 340 hp. If we're lucky, the US-spec model will have 445 hp. The sole transmission will be a six-speed manual, which will allow the car to hit 60 mph in less than five seconds. Stay tuned for full details next month from Detroit.